Much of my business comes from web development shops, PR firms, and agencies. I also work directly with site owners. 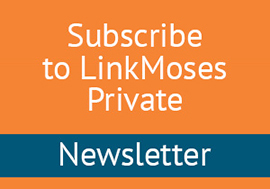 I’m best described as a combination linking strategist/content publicist. I help web sites/content/apps and the online audience they were intended for learn about one another, so that the content can earn the links and publicity it deserves. Most importantly, I am not a competitor for your clients. I’m a one-man business, and I work with you, not against you. In 2013 I authored “The Ultimate Guide To Link Building” for Entrepreneur Press. Contrary to what most people think, links are still the backbone of the web, and there are still thousands of credible link sources that will care about and link to topically relevant sites and specific content types. For any site there are publicity and linking opportunities, some as big and exciting as this one, some as small and nicheified as this or this. The key is to understand who, where, and why, and interact with them in a respectful and appropriate way. I’ve been doing this since 1994. Regardless of whether you consider me a content publicist, strategist, consultant or link builder, if you represent quality I can help you. So, however it happens that you decide to bring me in to help, I’ll handle my specialty, working along with you to maximize our results. I specialize in a very focused niche, and that’s all I do. I raise awareness of quality sites, just in the online world. For twenty years I’ve worked solo by design. I’m very happy doing what I do, and am widely regarded as one of the best linking strategists in the world. 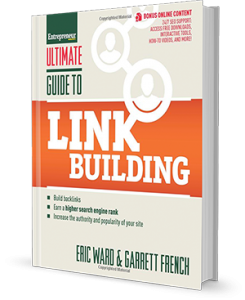 In 2008 I was one of 25 people profiled in the book Online Marketing Heroes“, from Wiley & Sons, Inc, and in 2013 I authored “The Ultimate Guide To Link Building” for Entrepreneur Press (now in it’s 3rd printing). In 2015 I contributed to the book “Success Secrets of the Online Marketing Superstars“, also from Entrepreneur Press.